We make no representation to the legal rights of anyone to ship or import any wines into any state outside of MO State. The buyer is solely responsible for shipment of wines. (A) Except for orders going to the permit states described in section (B), title to and ownership of alcoholic beverages passes from seller to buyer in the State in which the sale occurs, and buyer takes all responsibility for the product being transported from the state of sale to the buyer’s selected destination. Buyer may pick up the product at seller’s location, or make independent delivery arrangements. Sales tax will be applied based on the seller’s location. Seller makes no representation as to the legal rights of anyone to deliver or import any alcoholic beverages or other goods into any state. Buyer warrants he or she is solely responsible for the transport of the purchased products and for determining the legality and the tax/duty consequences of bringing the products to the buyer’s chosen destination. (B) For orders going to states in which Seller is licensed or has a direct to consumer shipping permit, title to and ownership of the product passes from Seller to Buyer in the state to which the product is shipped, and sales and other applicable taxes will be applied based on the requirements of the destination state. By placing an order, Buyer authorizes Seller to act on Buyer’s behalf in arranging for transportation of the product at Buyer’s direction. Alternatively, buyer may pick up the product at the Seller’s location, or make independent shipping arrangements. For any product picked up at the Seller’s location, sales tax will be applied based on that location. Prices of products do not include shipping/handling charges, the cost of which varies depending on destination, number of bottles ordered and choice of delivery options. Various states impose limitations on the quantity of alcoholic beverages, which may be purchased and brought into their jurisdiction by a purchaser from another state without requiring the purchaser, a seller or shipper to possess certain licenses or permits. Drink Dispatch does not, as a condition of sale, assume any obligation nor bear any responsibility whatsoever for applying or obtaining any permits or licenses. Therefore, we recommend that you investigate the possibility of such limitations and determine the manner in which alcoholic beverages shall be brought into your state so as to comply with all of your state's requirements. We do not ship to the following states:Illinois, Kentucky, Mississippi, and Utah. Non-wine items, such as gift boxes, accessories and glassware may be shipped to all states. Please accept our apologies if we are unable to ship to your area. For more information on state laws concerning shipments of alcohol, visit: http://www.wineinstitute.org/shipwine. 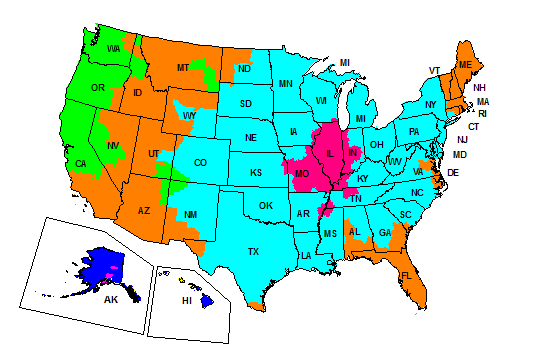 We ship alcohol to select states in accordance with state laws. Free shipping and other Shipping Promotions and offer site wide or on specific items excludes Puerto Rico, Hawaii & Alaska. Please email us with the product and quantity and we will get back to you with exact shipping cost. Orders received before 8AM will ship same day whenever possible. If no one is available to receive the package, a subsequent attempt to deliver will be made by the carrier. If subsequent attempts are unsuccessful, your order will be held for 5 business days at the local facility of the carrier. If it is not picked up by then, the package is returned to us, in which case 20% restocking fee applies and it can be re-shipped at additional shipping cost. A $15 charge per package will be added to your order in case of any address changes and corrections once the items ships our warehouse. When ordering from us you are representing to us that you are at least 21 years of age and that the person to whom it is being shipped is also at least 21 years old. The customer at the time of delivery are required to provide a valid date of birth ID as a proof of age to the delivery carrier. We currently ship wine to limited countries. Please enter your zip code to see if we ship. All international orders are subjected to duty and customs specific to each country and is not included in your order total. Customer are responsible for these additional charges may occur due to this. Sales tax is collected only on shipments delivered within the state of MO. We are required by law to collect sales tax for orders delivered to Missouri addresses. In all other states, customers may be responsible for paying sales tax to state, county, or municipal authorities. Total sales tax charged on orders is displayed in shopping cart for review prior to check-out. Extreme hot or cold conditions may cause delays in shipments. We reserve the right to delay the shipments to ensure quality of the product. If you are shipping to a hot or cold location, it is recommended that you upgrade to express shipping methods to reduce transit time. We charge a 20% restocking fee on all cancelled and returned orders. On any returned orders original shipping charges will not be returned. No returns or exchanges are accepted after 7 days of delivery. While we make every effort to show accurate product listings on our website, Drink Dispatch is not responsible for typographical, pricing errors, incorrect image and omissions. Thank you for your understanding. We make every effort to keep our vintage information as up to date as possible but when a change does occur we will contact you for wines priced above $18.